I was to the point that I needed some backing fabrics. I have several quilts that are nearing a finish. I thought if I took a little inventory maybe I could find some backings at Quilted Twins online store and take advantage of the cheap $5 shipping. On my list to need backs were….The mystery quilt and my Scrap Crystals quilt. Tulip Fields doesn’t need backing yet but when I was shopping I found a fabric I thought would be great! All of these quilts are entirely made of batiks so I thought I would stick with batiks for the backing. The colors are a little muted on these but they will work great for backings. Where else can I get such an amount of backing fabric for $5.99 a yard?? When the fabric came in the mail there was actually a box AND a package. Hmm…maybe it all wouldn’t fit in a box. I opened it and all of the backing fabric in the above picture were in the box. Hmm…I didn’t remember ordering anything else….I opened the package and inside were these wonderful half yard cuts of blacks and whites. See? So now I have an awesome stack of black and white prints. I have a couple quilts I’ll need in the next year or so for graduation gifts. Our school colors are red, black and white. All I need to do is raid the red stash of fabrics I have and I’ll be able to be quilting in no time. 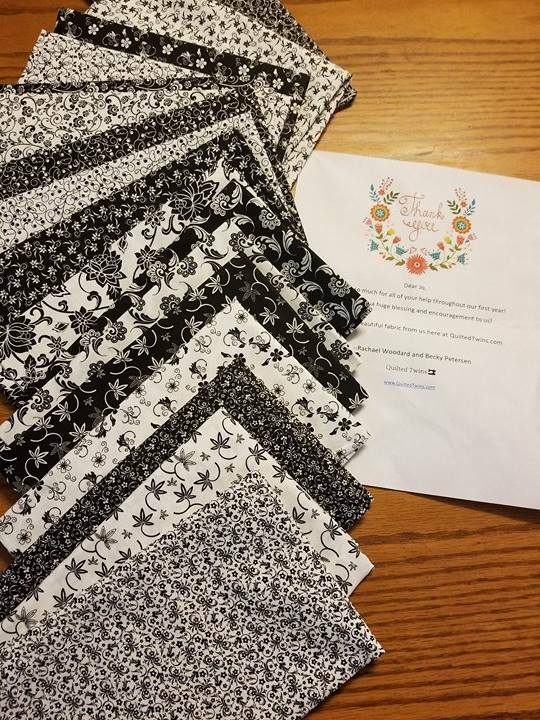 Thanks so much ladies…I truly appreciate your generosity but more than that…I love your prices, your shipping, Becky’s free quilt patterns and your speedy service! Once people take a chance and work with you once, you sell them on your business every time after that!! Oh my goodness…I just opened these up. They aren’t quarter but HALF yard cuts. 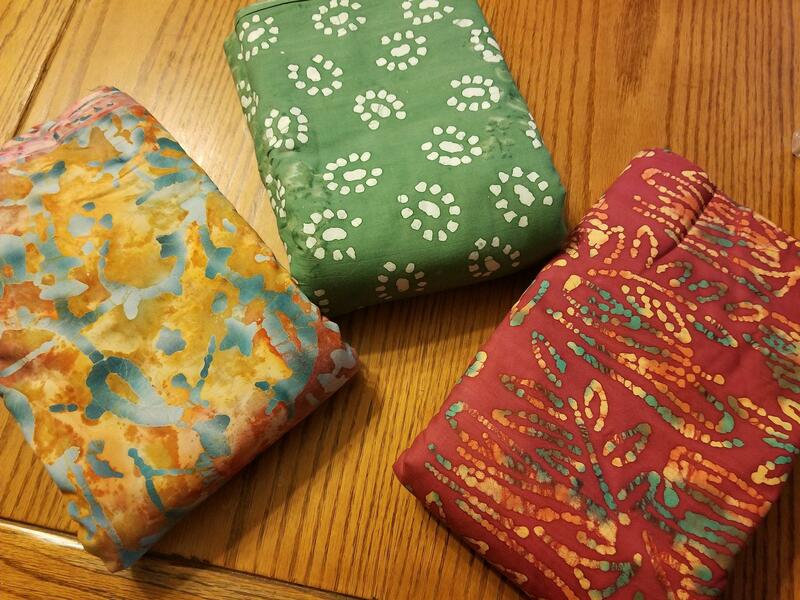 I think I can make TWO quilts for these….Now to dream up a pattern.